Located at 72, Jalan Gebeng 1/24, Bandar Industri Gebeng Jaya, Kuantan 26080 Pahang , the site of the RM700 million Lynas plant is situated near Sungai Balok, which flows into the South China Sea. Any leakage to the river will cause major sea pollution and affect the national fisheries industry. From September 2011 onwards, Lynas intends to process lathanides (the scientific name for rare earth) shipped from Mount Weld mine in Western Australia at the 101.25 hectar plant. Rare earth metals are crucial to the manufacture of high-technology products such as smart phones, hybrid cars and bombs, flat-screen TVs, iPhones and energy-saving fluorescent lightbulbs. Asian Rare Earth (ARE) Plant operated by Mitsubishi Chemicals was set up in 1974 and it started refining rare earth in 1982. Lynas owns the richest deposit of Rare Earths in the world at Mt Weld, 35km south of Laverton in Western Australia. Shut down in 1992, it is currently undergoing a cleanup operation worth 300 million a year Malaysia’s Department of Environment (DOE) approved the Lynas project in 2008. The site is scheduled to produce its first feed of ore in late March. Linked to documented spike in birth defects, 7 deaths from Leukemia. Lynas has been granted the “strategic pioneer status” by the Malaysian Industrial Development Association (MIDA), which has a number of associated benefits including a 12 year tax free period. Why would Australian company Lynas ship its rare earth 2598 miles away to be processed in the sleepy town of Kuantan, Malaysia? Spokespersons for Lynas have attributed Malaysia’s choice as the “preferred location” due to its proximity to market, access to high quality chemicals, utilities and engineering skills’ coupled with its transparent regulatory framework. This claim is rubbished by many NGOs including Stop Lynas, Save Malaysia chairperson Vincent Jiam, who believes that the Australian company wishes to take advantage of loopholes in Malaysian environmental law. It has been reported that Lynas was refused approval to open its processing plant in its own country of Australia as well as the Malaysian state of Terengganu, a claim which the company has denied. The Malaysian Industrial Development Association (MIDA) has accorded Lynas “strategic pioneer status”, which allows the company the benefit of operating tax-free for 12 years. On that note, none of the RM8 billion which the company claims its exports will be worth from 2013 will be channeled in tax profits to the Malaysian government. Lynas looks set to maximize its profits with the current exchange rate greatly favoring Australia, while PKR MP Fuziah Salleh believes that Kuantan residents stand to gain nothing from the proposed plant, except 350 jobs. According to Malaysian law, Lynas requires a license from the Atomic Energy Licensing Board (AELB), a Regulatory Board under the purview of the Ministry of Science, Technology and Innovation. As part of the criteria to acquire the license, Lynas must submit site plans and fulfill certain health and safety requirements. Lynas expects to receive its AELB preliminary operating licence by September, which will be renewed as a full licence within three years should the plant comply with agreed standards. Besides the AELB operating license, Lynas also needs to conduct an Environmental Impact Assessment to get approval from the state Department of Environment (DOE) within the Ministry of Natural Resources and Environment. According to SM Mohamed Idris, president of Sahabat Alam Malaysia, the Lynas project was fast-tracked for approval by the Pahang State DOE within two or three weeks of submission. He said that the DOE received the PEIA on Jan 21, 2008 and approved it in early February. Both Lynas and the Atomic Energy Licensing Board (AELB) have said that the plant would produce thorium – a naturally occurring radioactive chemical element – as a waste by-product from the plant’s operations. However, the Australian company and the national atomic power agency maintain that thorium has a low radiation level and is not harmful to people or the surrounding environment. Suhakam commissioner James Nayagam said that despite assurances given, residents of Kuantan nearby where the plant will be situated fear the worst. James says, under the law of tort, if someone has control over a material and it escapes, causing damage to another person, there would be liability incurred by the person who had control over the material. 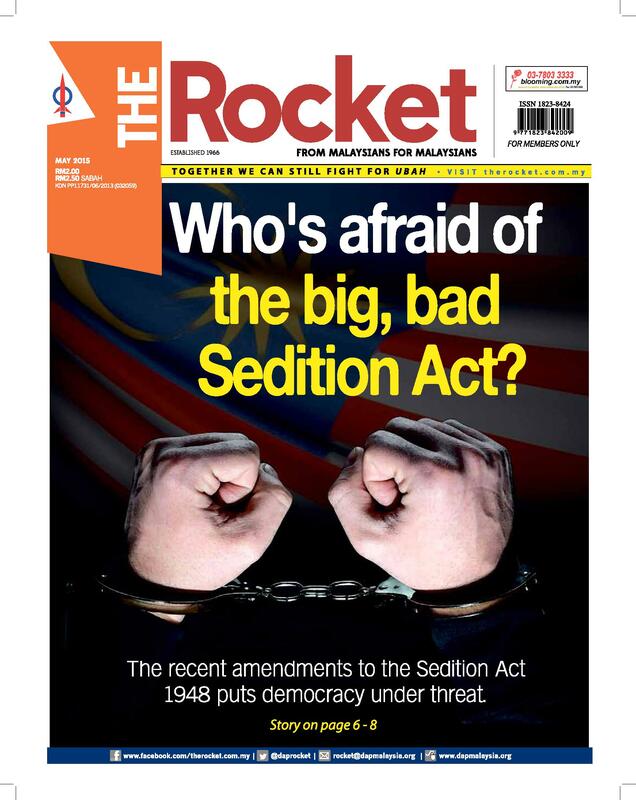 “Such conscious action violates the victims’ rights and is irresponsible,” he told The Rocket. Lynas has stated that it will place the radioactive material in reliable engineered storage cells that are designed to have “no possibility of leakage of material into the environment”. 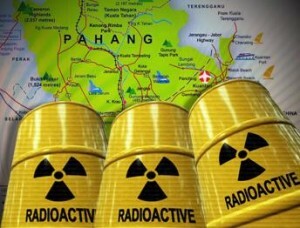 NGOs including Stop Lynas, Save Malaysia have expressed concerns that radioactive waste may corrode storage materials, as the thorium contained in the materials has a longer life span than the storage materials. In a statement, Australian lawmaker for the South Metropolitan Region, Lynn MacLaren said that Lynas was planning to process its rare earths mined in Mount Weld into a concentrate that would raise its thorium levels to 1,500 parts per million (ppm). According to MacLaren, this barely passes the acceptable level in Australia before triggering a special export licence criterion for hazardous materials. 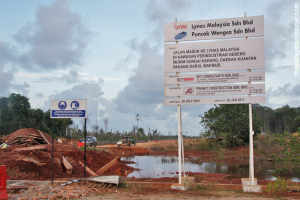 Lynas has said its rare earths concentrate contains less than 500 ppm of thorium and only 300 ppm of uranium. 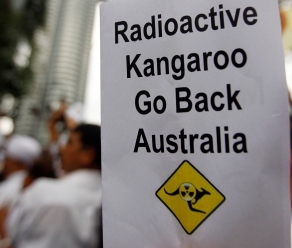 But the Malaysian Insider quoted the company’s chief executive chairman Nicholas Curtis as admitting in an interview last month that the concentrate which was to be shipped to Malaysia would contain 1,600 ppm of thorium, which he insisted was not considered by Australia to be radioactive material or “under its transportation guidelines to require even notification as being radioactive”. It is doubtful whether the Malaysian government is capable of monitoring the enforcement of industry safety standards that this industry poses. 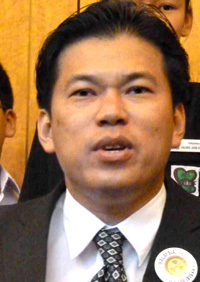 Selangor state EXCO for Tourism, Consumer Affairs, and the Environment Elizabeth Wong said that Selangor would never entertain any such industries. “Looking at the trends of investment plans in Malaysia, we should target industries that are clean and green, that bring technological advancement and benefit the economy, not industries that are dirty and difficult to manage,” she said when interviewed by The Rocket. The Lynas plant will produce an estimated 2,200 tonnes of radioactive waste yearly; how this radioactive waste will be disposed of remains unclear. Lynas has stated its intention to store the radioactive waste in its plant until it can identify together with the AELB a suitable waste disposal site. Shipping the waste back to Australia would not be cost-effective for the company. Moreover, the Western Australian government has clearly refused the importation and storage of other countries’ radioactive waste. The storage of this large amount of radioactive waste and the companies’ indefinite plans for its eventual disposal is a point of concern for many residents and NGOs, for whom the fear of potential leakage is a risk they are unwilling to take. Stop Lynas, Save Malaysia chairperson Vincent Jiam remains unconvinced by the safety measures Lynas claims to have put in place. It is understood that waste disposal is a costly affair due to the technology and subsequent expenses incurred. Cleanup of the now-defunct Asian Rare Earth plant in Bukit Merah has for the past 13 years racked up a yearly bill of more than 300 million ringgit. 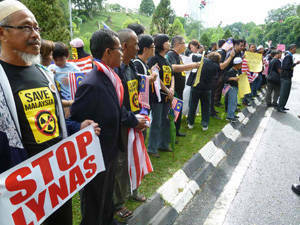 A panel of nine experts from the UN’s Vienna-based International Atomic Energy Agency (IAEA) have been appointed as an independent body to review the Lynas project. Meanwhile, the federal government had on April 22 announced that AELB would not issue a pre-operating license to Lynas until the month-long IAEA panel review has been completed. However, S.M Idris, President of Sahabat Alam Malaysia questioned why IAEA was appointed on the independent review panel instead of the DOE. The IAEA should not be in the position to evaluate this project, as the main purpose of the organization is to promote nuclear energy and its related activities worldwide. Whereas the DOE was set up to protect the environment and to promote environmentally sustainable activities. Sustainable Development Network (Susden) of Malaysia president Muhammad Sha’ani Abdullah also questions the non-involvement of the Ministry of Health and the Ministry of Environment in the Lynas Review Panel. He told The Rocket that management of nuclear issues should be multidisciplinary. 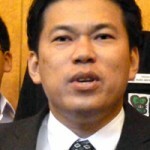 “The composition of the Lynas Review Panel is not broad enough”, Muhammad said. Despite the appointment of the independent review panel, residents’ fears have far from been allayed as the IAEA is seen as a pro-nuclear organisation. Vincent Jiam says, “The lives of our children and future generations depend on these few people. I cannot keep silent and risk their future”. 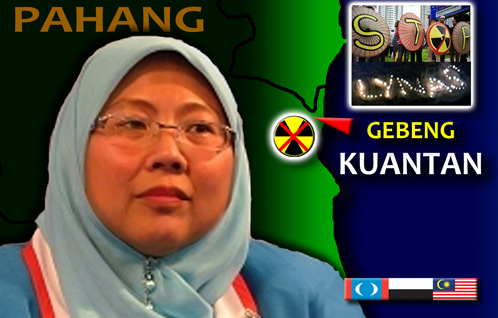 When asked if anything in the IAEA panel report would change her mind, PKR Kuantan MP Fuziah Salleh firmly says ‘no’. This article was written by admin on Friday, June 3, 2011 at 3:12 pm. You can follow any responses to this entry through the RSS feed. Both comments and pings are currently closed.